San Diego has you covered for the “Haute” must-have holiday items and which boutiques to find those perfect gifts for someone special in your life. 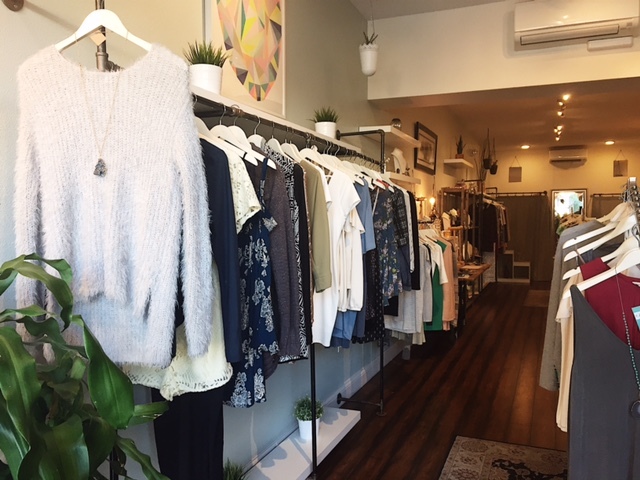 San Diego’s well-kept secret place to shop for the local stylistas, located in the quaint area of Mission Hills Shopping District, carries some of the most notable women’s clothing, jewelry, and accessory items around. Need a unique gift for that stylish friend? Be sure to check out the customized patchwork denim jackets to create a personalized holiday gift. Do you not have that special holiday ensemble yet? Try the exclusive “Joseph Ribkoff” collection for that party-perfect dress to stand out among your friends. 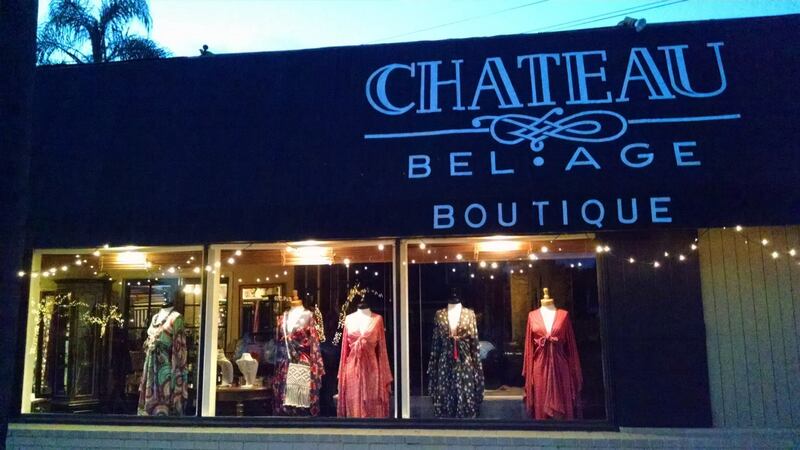 Be sure to check out the sister boutiques “Le Bel Age”, and “With Love” located on the same block. 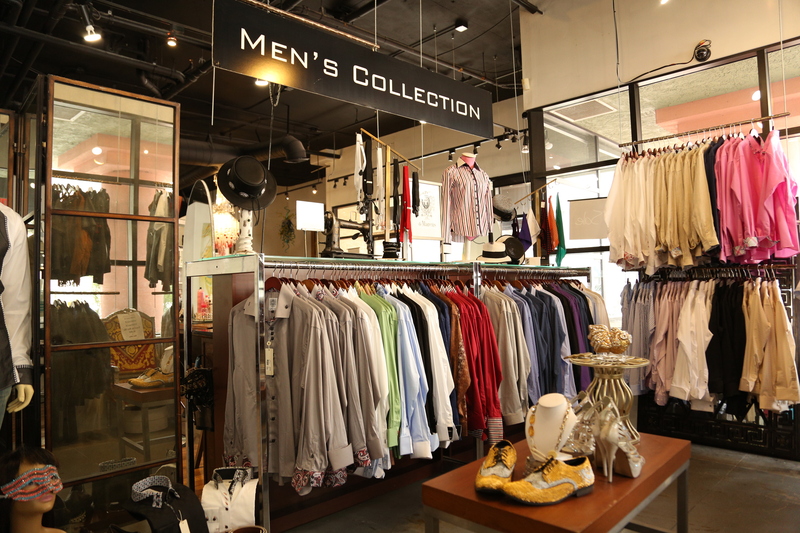 A men’s designer boutique located in the heart of downtown that carries De Marcus designs direct from the designer himself who happens to reside in San Diego. If you need a stocking stuffer for the male in your life, try De Marcus’s skin-care line with argon oil for your hair, skin, and beard. If jewelry is a need, check out the one-of-a-kind cuff links to go with the designer’s custom-fit and custom-made dress shirts with multi-functioning collars. All fabrics are 100% cotton from Istanbul, Turkey, and France. 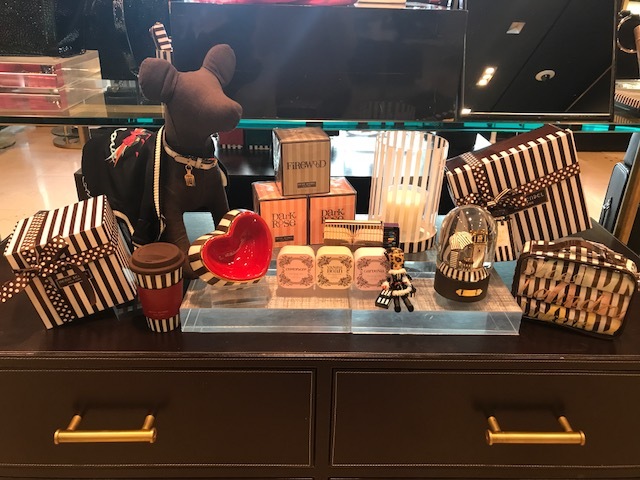 Henri Bendel is one of my go-to stores for hostess gifts, pet gifts, and holiday gifts. I especially love giving one of the iconic ornaments that are newly created each year as hostess gifts or one of the delicious smelling candles. For the dog lovers, I enjoy giving the signature dog collars or plush toys. A great gift for that travel-chic family member would be any of the beautifully packaged sets like the shoe bag, laundry bag, and the travel trio set. Swoon, a “millennial” girls dream, carries unique brands at good price points, in a relaxed atmosphere. Whether you are holiday shopping for your daughter, niece, or friend, check out the oversized mid-knit cardigan sweaters by “Beulah”. To complete your gift, you can always add one of the on-trend dainty pendant necklaces by “Audrey3+1”, in gold or rose gold that has a small Hamsa Hand or Buddha on it. TRE Boutique specializes in women’s sophisticated and savvy styles. 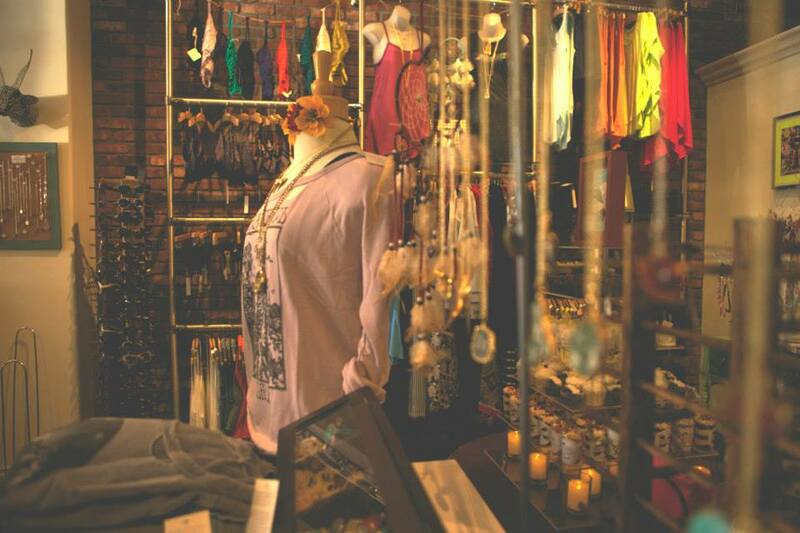 Located in the Flower Hill Promenade, this colorful boutique is one of San Diego’s favorites and has been crowned “The Best of San Diego” for over 20 years. If you want that perfect gift that screams luxurious check out “Dana Stein’s” cashmere wraps that are just right for a cool fall evening. 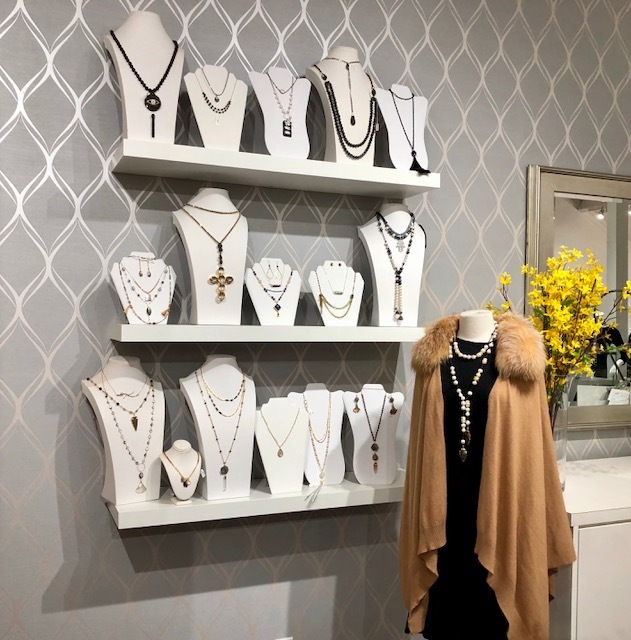 I also love the local jewelry designs by “Tassel & Rock”, known for their fresh water and baroque pearl necklaces, and “Amy Joy Designs”, showcasing semi-precious stone statement pieces. Be sure to also stop by the two other locations in Carmel Valley and Encinitas. 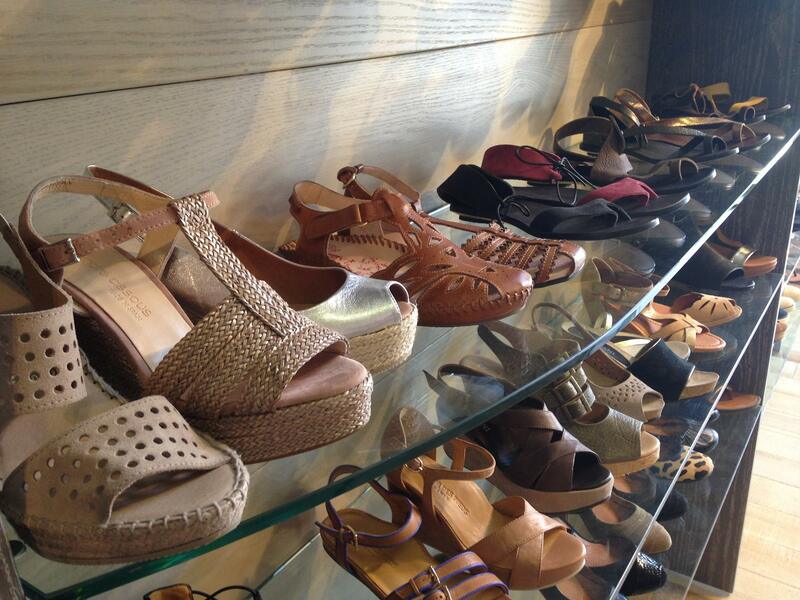 Located in the artsy Cedros Design District, this boutique is known for their spectacular array of shoes and denim. It is also a great place to find that meaningful gift that serves a purpose. For the zen person in your life, the brand “Studio Penny Lane” offers a variety of mindful gifts. Some of my favorites are the Gratitude Apothecary Jars, used as an interactive tool for daily practices of gratitude, and the Breathe Collection jewelry line, emphasizing mindful sayings. A great hostess gift would be a set of the very chic “Heather Scott Home & Design” crystal candle holders. This homey boutique has kept fashion lovers coming back for years. Need to find a gift for that California-Bohemian inspired girl? I love their selection of dresses that fit this style perfectly. One of my favorite brands is “Flynnskye” maxi dresses which are comfortable and embody the California vibe. I am also a huge fan of the “Erin Fader” jewelry, especially the statement rings and wrap bracelets. This entry was posted in Shopping by Sandra. Bookmark the permalink.